Get Your Paper Edited Now! Many authors believe that after they finish writing a great work that the actual work is complete, however it may be just getting started. Self-publishing your work gives you wonderful freedom and control over your work. You message would not change due to marketing or sales issue, however there are many things you may want to consider now that you have finished the writing. 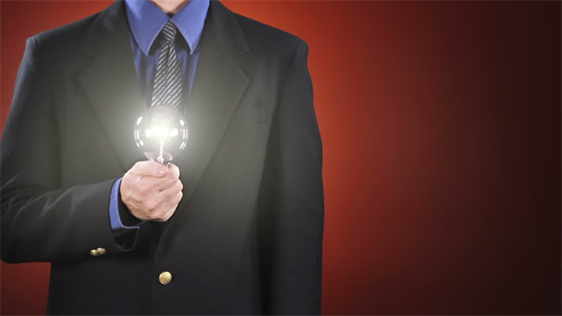 Not everyone has a vast amount of money that they could spend on an idea or a chance. Whether you are publishing via e-book or publishing in a hard copy format, decide on how much money you want to spend on this endeavor. Give yourself a realistic view on what you can possibly earn as a return of your money in the future. For those people who are grammar focused nothing bugs them more than a misplaced comma or poor sentence formatting. To allow your reader to focus on your message verses your grammar, find an editor that will give you genuine feedback for improvement. As for the content of the book find as many people as you can to read your work and offer a constructive opinion. Though it is true that everyone has a story to tell, writing a memoir where no one knows your name or has heard of you will only hurt your prospects of selling your book. There is a saying to not judge a book by its cover, however most readers do just that. Just by looking at the cover most readers can decide within seconds if it is a book that they would be interested in reading. If you aren't an accomplished Photoshop editor then you may want to consider hiring someone to complete this task. With traditional publishing houses they have whole department that are dedicated to marketing a new title and finding ways to get it in the eye of the public. In self-publish you wear a lot of hats including the marketing department. How are you going to let people know that your book is available for them to read? Are you going complete just a social media drive? Or are you going to start public speaking and selling the books at the end of the speech? Each path is different but what is important is to develop a plan before the work is published. You are an author, but right now it doesn’t pay much. As an author you are looking for ways to get you name out there and increase your income. 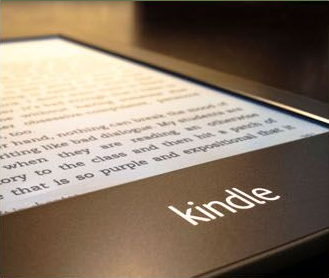 Kindle e-books may be able to provide a simple way to increase your income while putting your name in the public’s view as a knowledge expert in your chosen field. The steps to get started are simple and could give you the boost to reach your goals. If you would like to publish your work the first step is to sign up for a Kindle Direct Publishing (KDP) account. Within this platform you are able to add your book to Amazon’s vast collection with only a few required items. Items that are required are your name, description of the books, a cover for the book, the e-book file, and the price of the book. You could earn up to 70 percent of very sale in royalties. How to qualify for 70 percent royalties is to price the book between $2.99 to $9.99, any other price will earn 35 percent royalties. Remember you want to have very little competition. To give an example, are you the only horror author that is has a child as the villain, absolutely not! However, are you a horror author that has the child as the hero, possibly? Do some research that allows you to stand out away from the crowd. You may have a large book in your chosen field, however you may want to break that book up into smaller more specific titles. All of the titles will still be in your specialty subject but will allow you to offer your work as a bundle and be able to increase your marketing. If a reader likes your work they may want to seek out more from you. Since we live a day that everything is interconnect via the web then allow your readers to be able to plug in by offering links to YouTube videos or websites that they would be able to find more information. You may decide that you can offer a discussion forum area where readers could come to discuss the ideas that you presented in the book. You have already decided on a specialty area, use Amazon’s search engine to your advantage. Write your title with the search keyword in the title and give a subtitle to the book that gives a reason why someone should purchase your book, such as proven methods, step-by-step instructions, or what contractors/doctors/politicians (etc.) don’t want you to know. Unless you are an expert in Photoshop you may have to hire a freelancer or another similar person to design and build your cover. Have a cover of a book look ‘homemade’ is a turn off for most people when they are shopping for books. Having a well-designed cover lets people know that the contents might be worth reading. As you know we are always on the hunt to find entertaining stories for our fans. We like to be able to provide stories that are not only entertaining but you will be able to apply those stories to your life. We believe we have found the next story for you. We would like you to give us your opinion about an idea of a comedy book. The book will have a bunch of real and personal stories of a car dealership called Milano’s Cash for Cars. We know that when most people think of a car dealership they think of people who lack integrity and are just ‘out to get your money’. However, there are still good people working in the car dealership business and we believe that we found a great one. Milano’s Cash for Cars that the book will focus on has come up from nothing to become one of the largest car dealerships in the San Diego area. They have been through both tough times and lucrative times. But, as in any business it is a business of people and when people get involved things can get complicated and funny very quickly. 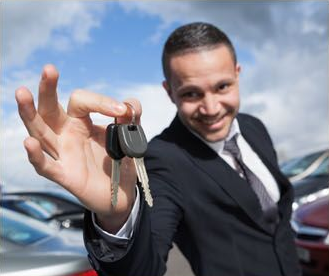 To most people buying a car is a major decision in their lives and they don’t want to get it wrong. However, in their attempt to sound or feel smart in dealing with cars people often put their foot in their mouths, to include the sales people! Other people attempt to “improve” a car that only ends up causing disaster! It has been said that most people would rather prepare their own taxes verses shop for a car and it shows! Some of the stories that the book will highlight are the way Milano’s Cash for Cars goes out of their way to make the community and the lives of the people better for having that business in the community. When starting a business from nothing, often you have to learn a lesson the hard way. So, with the stories come business insight that is a product of years of experience and hard work. Some of the stories add a level of overcoming adversity to become the powerhouse business that Milano’s Cash for Cars is today. If you'd like to learn more about the company we would be following, you can read all about them. Post your comment to tell us if this is a book idea that you would be interested in reading. We want to know what you think. Home | Fiction Editing Service | Get Your Paper Edited Now!